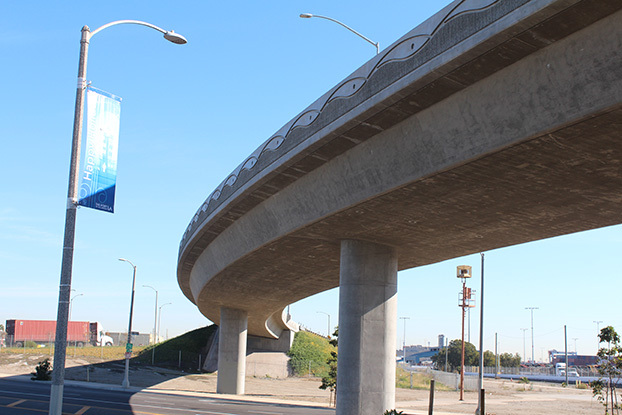 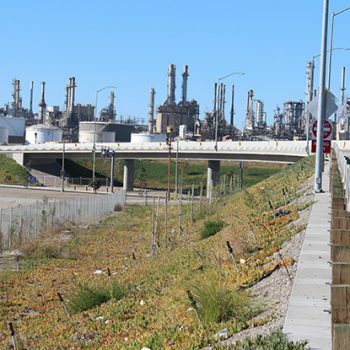 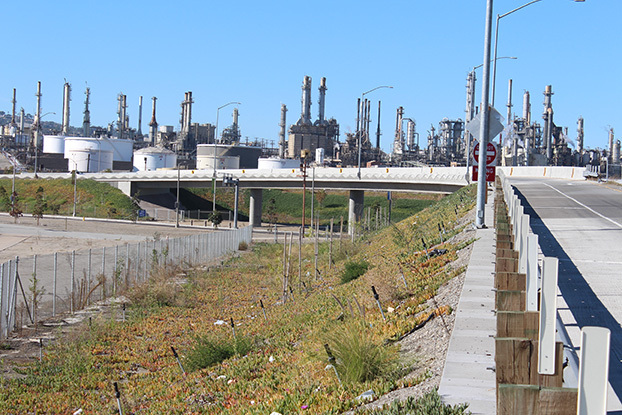 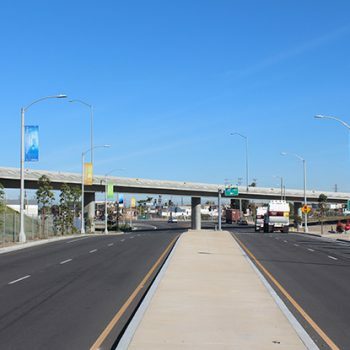 This project combined two closely spaced intersections into one and constructed a new bridge flyover off-ramp from the northbound I-110 freeway onto Harry Bridges Boulevard. 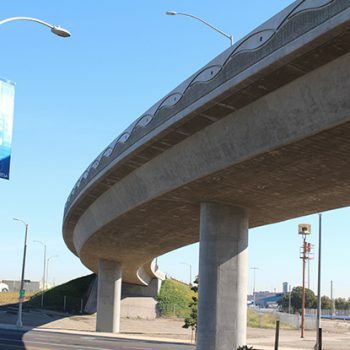 The structure is a 465-foot-long four-span cast-in-place concrete box girder bridge. 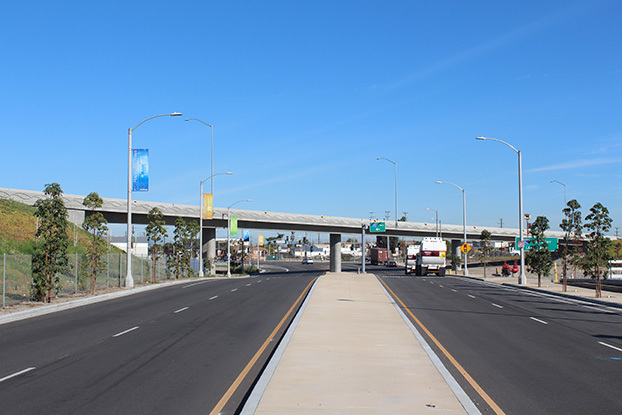 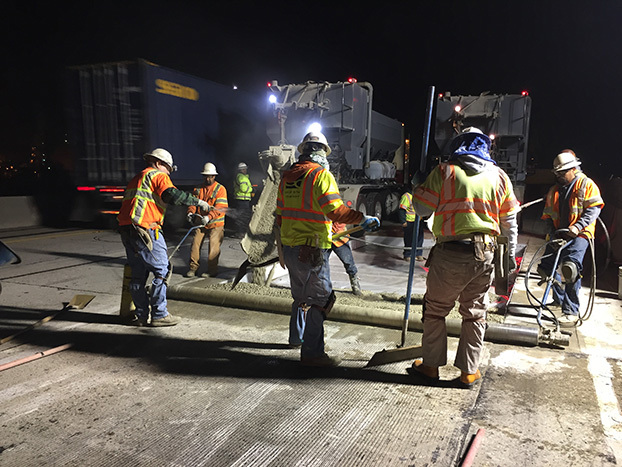 The jobsite is located within C Street ramps of the I-110 freeway and the intersection of John S. Gibson Boulevard, Harry Bridges Boulevard, and Figueroa Street. 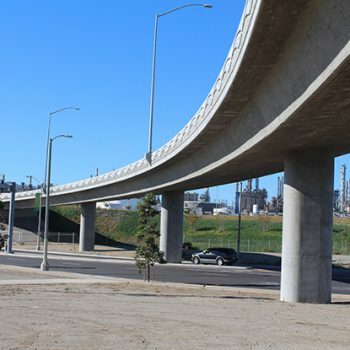 Challenges to construct the project included coordination with regulatory agencies; coordination with public utilities for their relocation work; relocation of existing LADWP electrical system, sewer and storm drain systems, and other utilities; and public outreach efforts with stakeholders such as the community of Wilmington, businesses, and container terminal operators. 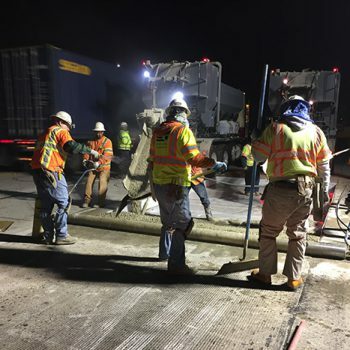 Constant collaboration, strengthened relationships, and increased goodwill between stakeholders allowed for completion of the project approximately $400,000 below contract award and eight days ahead of schedule. 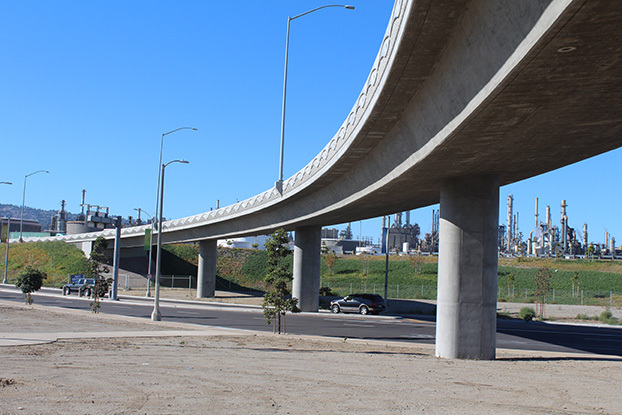 The project has been awarded the 2017 Caltrans Excellence in Partnering Award, Gold Level.